Playing music on the Apple Watch is a lovely thing. You can control your iPhone’s Music app using the Apple Watch Music app, choosing playlists and adjusting volume on the fly. You can even start apps like Spotify or Rdio on your iPhone, then use the Music Glance on your Apple Watch to forward, reverse, pause or play music from these streaming services. Did you know, however, that you can also send music from your Apple Watch to your Apple TV or any AirPlay-enabled speaker? When you’ve launched the Apple Watch Music app (this trick won’t work with the Glance – sorry, Spotify users), start a song playing, either from the songs you’ve moved over to your wrist or via the connected iPhone playlists. Once it starts, push down on the face of your Apple Watch a little harder than a tap (Force Touch), and you’ll get some options, including Shuffle, Repeat, Source and AirPlay. 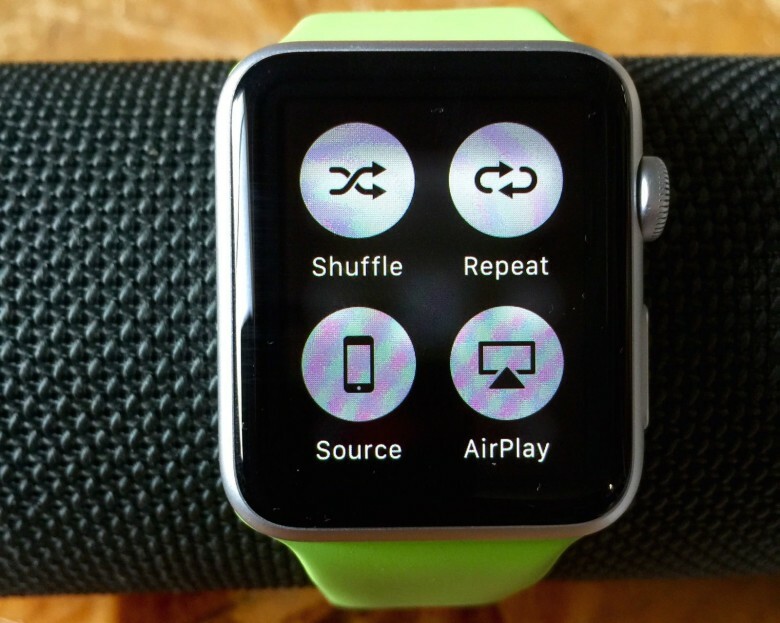 Source will switch between local Apple Watch music and the tunes on your iPhone. Shuffle will mix up any playlist you’re listening to, while Repeat will just keep it all going in a repetitive loop. 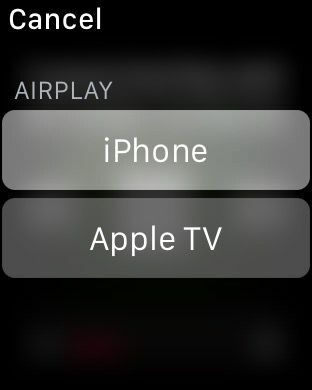 If you tap AirPlay, you’ll see a list of available output options, like Apple TV or any other AirPlay-capable speaker you have in the house. You can also choose iPhone to play the music on your phone. You can forward, reverse, pause, play and even control the volume with your Apple Watch now, even on the big screen. Hooray!